Though many more adjectives can be used to describe a Chess Player, the above, gives an overall depiction of a person who has made playing chess, a profession in itself. If we have ever had the opportunity to meet a Grandmaster of Chess, we will know that; though they are a celebrity, they are in fact normal people just like us, normal, but in a little extraordinary way. The brilliance of their mind is clearly seen in the way they handle their game and the game of life. They are trained to think on the spot, plan their moves, strategize and succeed. It is a competitive world, yes, and though many may disagree, it is a fact and extremely necessary to keep yourself ahead of the competitors. Though it is definitely hard work which takes someone to their desired goal, a thought ought to be given to the young budding ones in our home and what the future holds for them, what issues would they face? Will the problems be the same as what we are dealing with or will it be different. Nevertheless, there can be no harm in preparing them for whatever comes. How Mind Games Differ From Sports and Activities? In today’s competitive world, competition is not restricted to an adult’s work-life alone. 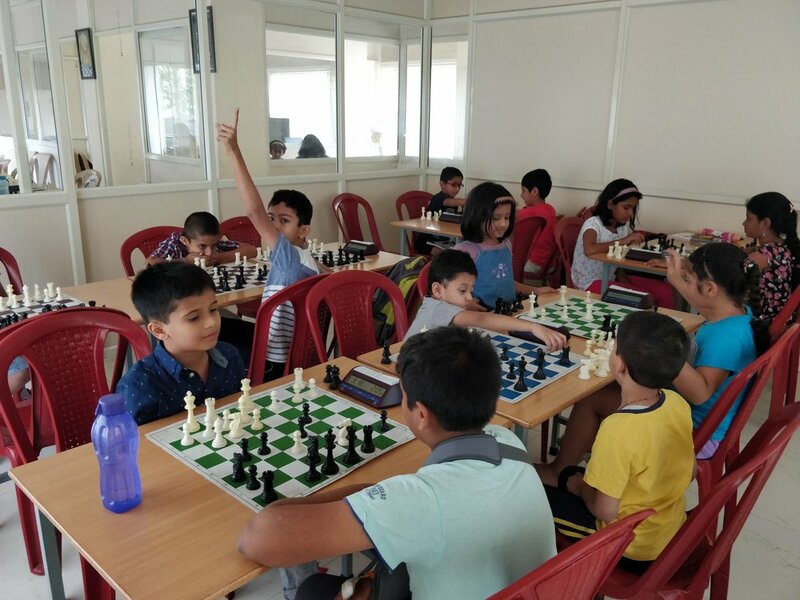 Children also are exposed to fierce competition in academics, extra-curricular activities, and other life areas as well. To help the children get on the top of the game, a lot of parents are getting their children enrolled in different sports programs or other recreational programs. But what about nurturing the child’s mental skills in a fun way? Involving your children in sports and other activities do help their body to become active and less vulnerable to diseases, but sports don’t train your children’s mind to act wisely or become an independent thinker. At the first sight, the fully functional robot buddy could easily pass off as a small piece of toy, an unattended box, a Lego piece or even a broken portion of an RC car. But you pick it up and have a look at it, you'll know it has more than what meets the eye. Let’s accept this – coding is tough and involves complex concepts. Coding is something we as adults sometimes find daunting, tending to give up learning once in a while. Now imagine what kids would have to go through when they have to sit in front of their computers, tackling something that is way beyond their age, comprehension levels, attention span and mindsets. However, tons of kids out there enjoy coding. This is mainly because the way they are introduced by their parents, teachers or afterschool programs instructors. Though coding for kids revolves around a fairly similar approach – logics, tools, programming languages, basic algorithms, functions and more – what actually kids learn and the fun they have learning depends on how they perceive coding. And that entirely depends on us. So, if you intend to introduce coding to your kids and sustain their interests for long, here’s how you can do it. Chess is complex. We have to agree to that. The amount of calculations, thought processes and conceptualizations involved are perhaps more in chess than any other game. For a lot of us beginners, it could be a little scary as well, with the fear of embarrassment accompanying each move. When playing, it usually happens that a lot of our calculations go wrong and we end up losing coins. From accidentally losing pawns to completely forgetting about the unguarded queen, we would have seen them all. March 9, 1943 marked the birth of an incredible young talent. Bobby Fischer became the first American-born world chess champion after defeating his arch rival Boris Spassky. He was also the world’s youngest international grandmaster at the age of fifteen. Bobby was only a six-year-old, when he learnt how to play chess along with his sister by reading the instructions found in a chess set. His sister Joan had picked up the chess board from a candy store below their apartment. While we sleep, there are people in the nooks and corners of the world desperately carving their way towards excellence. Full of inspiring stories, visions and breakthroughs, they have this knack of looking at things from wider and newer perspectives. It may seem a bit of a cliché but these people have always asked why not instead of why and the result is the place they stand today in their lives. At Mind Mentorz, we personally consider this post close to our heart mainly because of two things. Firstly, it brings to the light the inevitability of coding, its pros and influence on kids’ imagination and true inner potential. Secondly, and most importantly, it aims at bringing back the long-lost habit among the kids of today of picking up a book and reading it. Introducing robotics and to kids has two major takeaways – your kids have the time of their lives experimenting with simple tools and concepts and they learn a lot of new things and skills along the way. It is an interactive and engaging for the kids and when you team them up with a couple of their friends, you could seen an electrifying environment around them. Over the last few posts, we have been emphasizing the importance of teaching robotics to your kids and on this one, we have compiled a few simple projects your kids can work on under your supervision.